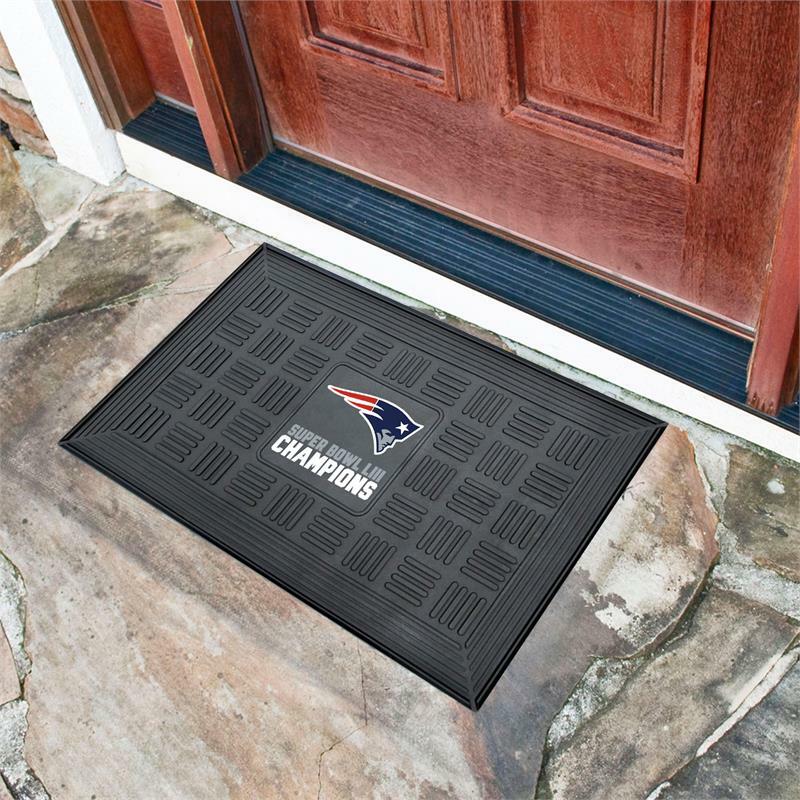 Celebrate the New England Patriots Super Bowl LIII Championship with an officially licensed commemorative medallion door mat by Sports Licensing Solutions! Adorned with the New England Patriots Super Bowl LIII Champions designation, this door mat makes a huge statement on your team while keeping dirt and mud from entering your home. Heavy duty vinyl construction ensures a durable mat, a deep reservoir contains water and debris, and rugged ribs scrape shoes clean.